Greetings to you on this marvelous Monday! 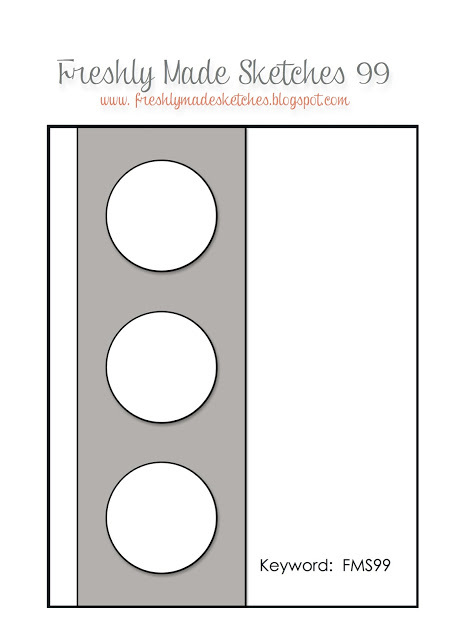 I must still be feeling all minimalist from yesterdays one layer card because I came up with this super clean and simple creation today. 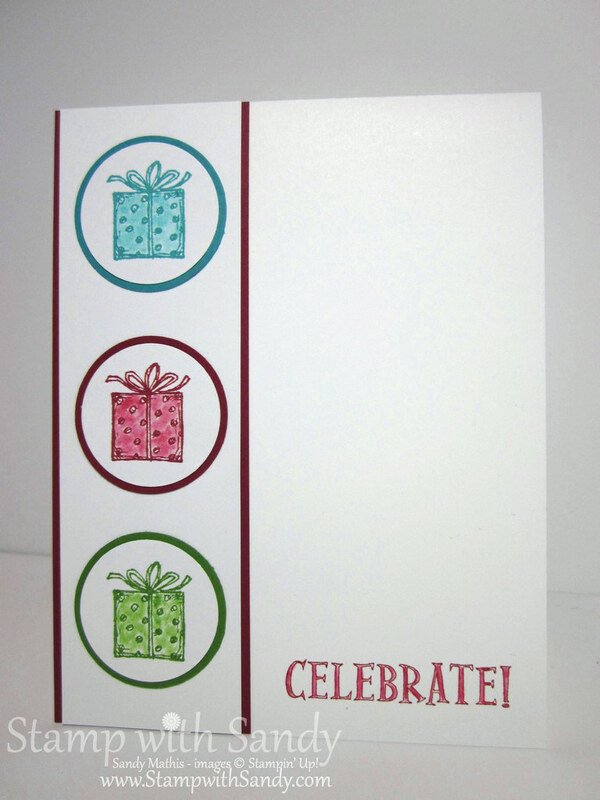 It features the Best of Birthdays Stamp Set, which is one of Stampin' Up's 25 year anniversary commemorative stamp sets. The layout is from Freshly Made Sketches. What a cute sketch, I had so many ideas for it and you may see me use it again. It doesn't get much easier than this. 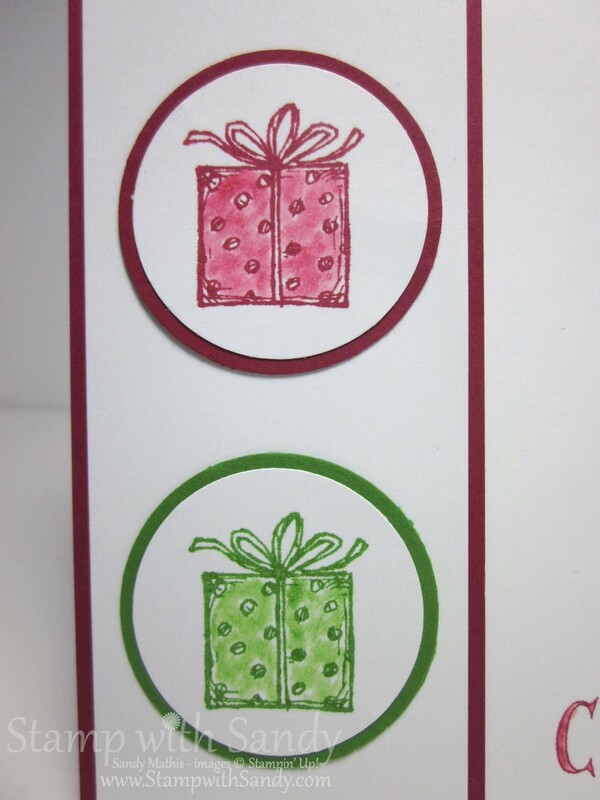 I stamped my packages in three colors of ink, then used the ink and a blender pen to color them in a bit. I did the same things with the greeting. Then I punched out the presents, punched a slightly larger size for the frame, glued it all together and called it a day! 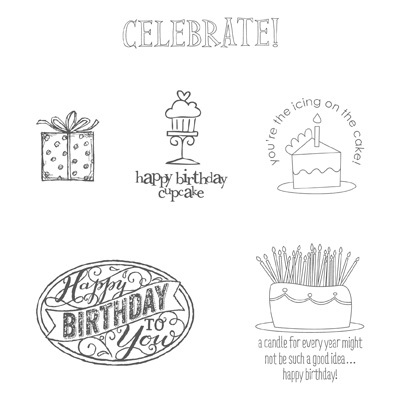 The Best Of Birthdays Stamp Set is one of Stampin' Up's monthly collectible stamp sets celebrating their 25 year anniversary. While just one Best of stamp set will be released per month, all of the Best of sets will be available until March 31, 2014. As a special incentive to collect the Best of stamps, we're including a collector's card and 25-year proof of purchase sticker with every Best of set. Collect six stickers, and send it in to redeem a FREE set of your choice valued up to $14.95! Free sets must be redeemed no later than April 30, 2014. Love the collection of sweet packages! 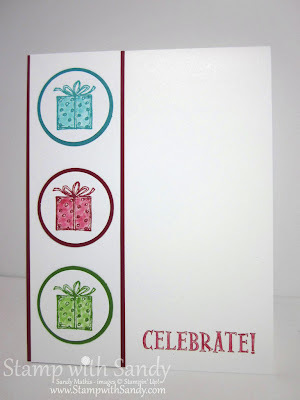 Great clean card Sandy! Love all of that white! Great colours! Thanks for joining us this week at Freshly Made Sketches!